Computer Grounding Kit (600mm x 400mm) Feel the difference. Reduce body and environment voltage dramatically by using the EMF Clothing Computer Grounding Kit. 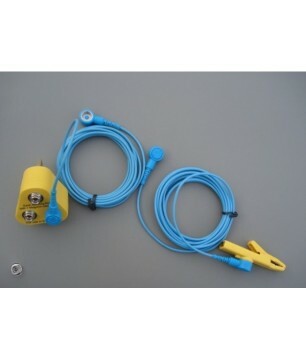 Computer Grounding Kit (900mm x 600mm) Feel the difference. Reduce body and environment voltage dramatically by using the EMF Clothing Computer Grounding Kit. Computer Grounding Kit (1200mm x 600mm) Feel the difference. Reduce body and environment voltage dramatically by using the EMF Clothing Computer Grounding Kit.